The USDA’s Food Safety and Inspection Service (FSIS) last week (December 1st) proposed revisions to the way that nutritional information is presented on meat and poultry products, in order to allow consumers to “make better informed decisions” when purchasing meat and poultry products. FSIS’s proposition would amend nutrition labelling regulations for meat and poultry products to bring them in line with the U.S. Food and Drug Administration (FDA)’s final nutrition regulations, which were published May 2016. Update the list of nutrients that are required or permitted to be declared. Provide update Daily Reference Values (DRVs) and Reference Daily Intake (RDI) values that accurately reflect dietary recommendations from consensus reports. Change labelling for food that is specifically marketed at children under 4 years old, and pregnant or breastfeeding women. Demarcate nutrient values specifically for these subgroups. Revising the format and appearance of the Nutrition Facts label. Changing the definition of a single-serving container. Require double column labelling for some containers. The proposal is viewable on the FSIS website here, and FSIS is welcoming public comment for 60 days whether online through the Federal eRulemaking Portal; by mail to the Docket Clerk, U.S. Department of Agriculture, Food Safety and Inspection Service, Patriots Plaza 3, 1400 Independence Avenue SW., Mailstop 3782, Room 8-163B, Washington, DC 20250-3700; or by hand at Patriots Plaza 3, 355 E Street SW., Room 8-163B, Washington, DC 20250-3700. “The new nutrition facts panel will complement the many other proactive, prevention-based food policies that we've put in place in recent years." 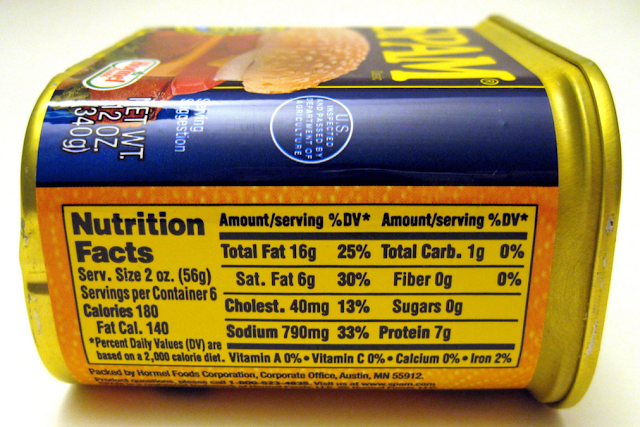 Nutrition labelling plays a large role in the USDA’s attempts to educate American consumers about nutrition and diet. Since 1980, the USDA joint-publishes Dietary Guidelines for Americans every 5 years to reflect ongoing advancements in nutritional knowledge. The goals of this are to ensure that all Americans have the chance to achieve a healthy weight and reduce the risk of chronic illness by making optimal dietary choices. Hopefully, these proposed changes to nutritional labelling will only further this goal.